Harry the Dirty Dog was first published in 1956. 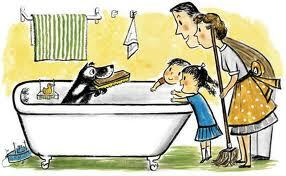 It is the story of a strong-willed, adventurous dog who does not want to be bathed. He is so determined to avoid the bath that he takes the scrubbing brush and buries it in his backyard. Once the brush is hidden, he hits the road. Not one to shy away from dirt, this charming white dog with black spots is soon visiting a construction site, playing near a rail yard, romping through water pipes and climbing onto piles of dirt. Everywhere Harry goes, there are opportunities for him to get dirty and, when he arrives home, he is so dirty that his family does not recognize him. He has become a black dog with white spots. Fortunately, while roaming, Harry has had a change of heart. He is keen to jump into the bath and to be back home, surrounded by his loving family. 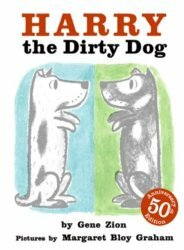 A classic picture book for preschool-age children, Harry the Dirty Dog is the first of four stories about this endearing pup. 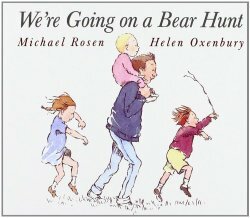 Children will also be happy to read Harry by the Sea, No Roses for Harry and Harry and the Lady Next Door. Follow Storytime Standouts’s board Harry the Dirty Dog on Pinterest.